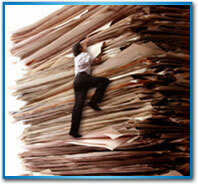 Inefficient records management can create a mountain of costs for your business. Get off that paper mountain and start putting money back to your bottom line NOW! Some document storage providers offer ironclad security for your paper documents, but they force you to pay mountain-high monthly fees in return. It’s time to come down from that mountain–Southwest Solutions Group® can provide smarter and more affordable solutions with our document scanning services. Let’s get straight to the point. Paying for document storage month after month is expensive. It’s a surefire way to drain your company’s budget. The good news is document scanning can stop the financial bleeding, and there’s no better time than NOW. Southwest Solutions Group has smart and affordable “document scanning plans” to help your company convert from paper to digitized documents with ease. 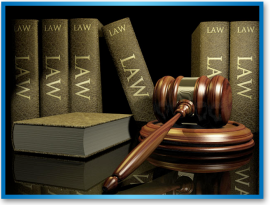 We offer on-site and off-site document scanning services. 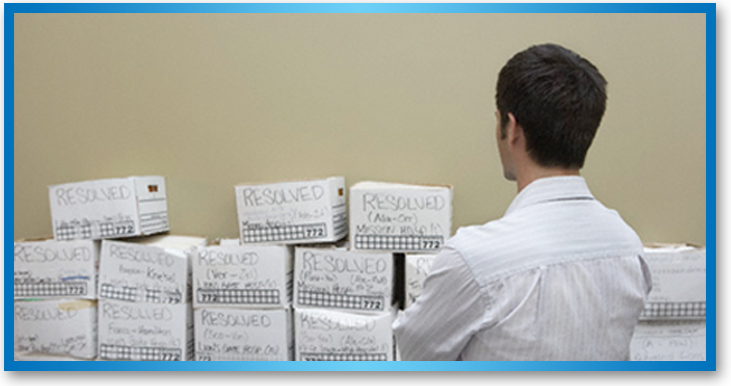 We provide FREE off-site storage of your record file boxes at our facilities while we scan your papers. We will customize a document service package and budget plan for your unique needs and put an end to financial bleeding! 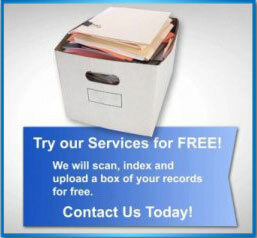 Why hire us to scan your documents when you can do it yourself? 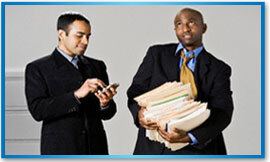 You won’t need to hire extra personnel to scan documents. Your business won’t have to invest in and maintain expensive imaging scanning equipment. With our customizable document scanning service packages and budget plans, you have more control over your monthly budget! Having more control over your company’s monthly spending puts a stop to needless financial bleeding. Fewer business expenses = more money for your bottom line! At the Southwest Solutions Group, we like giving our clients many options—flexibility is our forte. We have a full spectrum of digital imaging and document conversion services. We can customize our offerings for clients in any industry, especially in the corporate and medical fields. We offer FREE storage in our scanning facility while we scan your documents over an agreed-upon period of time (and based on a prearranged monthly budget). For documents that cannot leave your offices, we also offer affordable and reliable on-site document scanning services. We provide backfile document scanning: we can convert existing paper documents to digital images and store them on your preferred media. We will index and integrate scanned documents into your legacy system, or we can store them for you in our Vault Storage facilities. The core management team of Southwest Solutions Group is made up of industry veterans who profoundly understand the complexities of data integrity, security, and regulatory compliance. Information is power, and we have systems in place to ensure that your company’s information is never abused or carelessly placed in the wrong hands. So, say goodbye to document storage providers that keep you in an ironclad cycle of mountain-high fees! NOW is the time to go digital. Southwest Solutions Group will digitize your documents with smart and affordable scan plans. We will put money back where it should be: your bottom line! Talk to us today and put a stop to your company’s financial bleeding! Or better yet, take us up on our “Try Before You Buy” special document scanning offer or call us toll free at 1-800-803-1083. Does your document storage provider charge you monthly fees as high as Mount Everest? Its time to come down from that mountain.